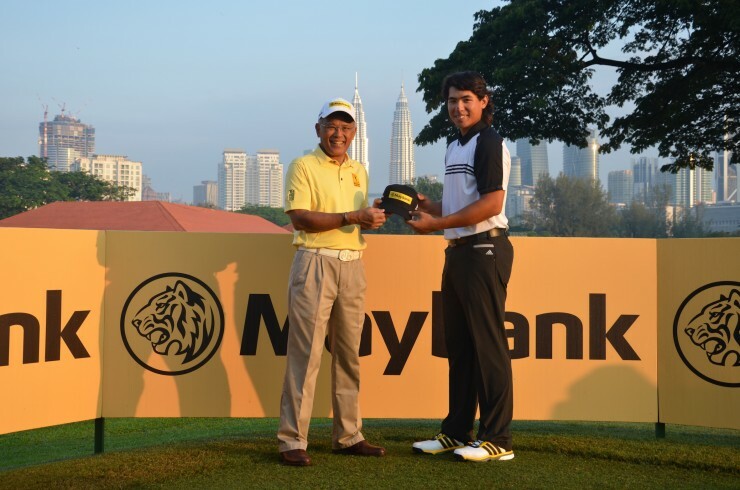 Maybank today announced its sponsorship of Malaysia’s rising sports personality, 21-year-old Gavin Kyle Green, as part of its on-going commitment to developing excellence in golf on a regional basis. Green made his professional debut in June this year at the PGM Rahman Putra Championship and has become a much-watched player on local and international circuits since. “To excel in golf, like for all other sports, the fundamental building blocks must be strongly put in place. Gavin, thus far, has demonstrated strong values and attributes like integrity, fortitude and discipline, somewhat similar to those that Maybank espouses, for the successes he has had. Since turning professional, he has shown further determination to compete against tested stars and talented uprising players internationally, thereby accumulating skills, experience and confidence, things I know from my own previous personal career experience are essential to reach aspirations of being top in one’s field. After Maybank’s very successful ten years of involvement progressing Malaysia’s golf scene, we are now pleased to support his journey towards self mastery of the game of golf.” said Tan Sri Dato’ Megat Zaharuddin Megat Mohd Nor, Chairman of Maybank. 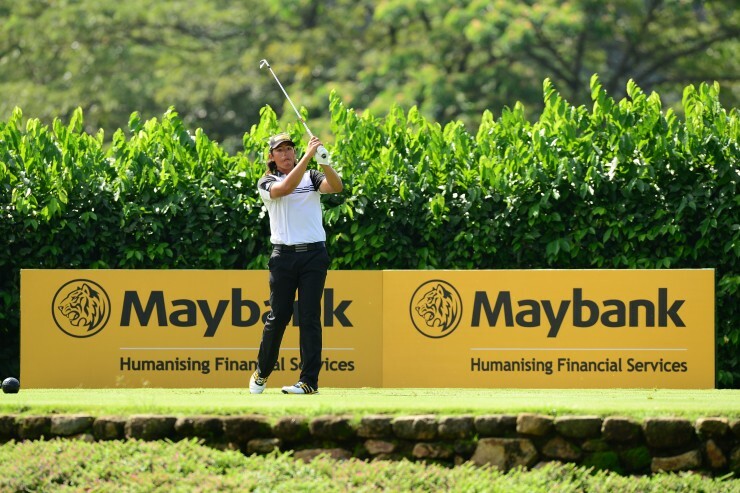 Maybank recently announced that its inaugural Maybank Championship Malaysia is scheduled to take place in February 2016, in its further efforts to provide a new accessible top notch platform for raising golfing professionalism standards for talented Malaysians and ASEAN golfers. Under the sponsorship agreement, Maybank has committed to a three (3) year arrangement with Green to enable him to better realize his potential, through access to resources and opportunities to continually improve his game. “He will have the Maybank brand on him, and I am sure he will feel pride of association with his country’s corporate icon”, adds Tan Sri Megat. Green recently graduated from the University of New Mexico in the USA, where he played collegiate golf on a full scholarship. He won the 2014-15 Mountain West Player of The Year award and was one of 10 semifinalists for the coveted Ben Hogan award, presented annually to the best collegiate golfer in the United States. He was also named to the Ping All-American first team. Green signed off on his amateur career as the world’s 12th ranked amateur golfer and was the second highest placed Asian. In Malaysia, Green also placed as the best amateur for three consecutive years from 2013 – 2015 at the Maybank Malaysian Open. Green is currently working with renowned instructor, Chris O’Connell to sharpen his skills. O’Connell also works with PGA TOUR superstar Matt Kuchar, who credits Chris with turning him into a perennial contender. “I am truly honored and humbled to have Maybank’s support at this early stage in my professional career. This endorsement gives me the opportunity and freedom to compete at different platforms, improve my game and hone my skills further. This exposure is invaluable and I truly thank Maybank for this opportunity as their confidence in me continues to spur me to do even better,” said Gavin Green. Green will set out to compete and test his game against the world’s best players across the globe. This includes getting into the European and Asian Tours, as well as returning to the United States of America and competing on the PGA TOUR.